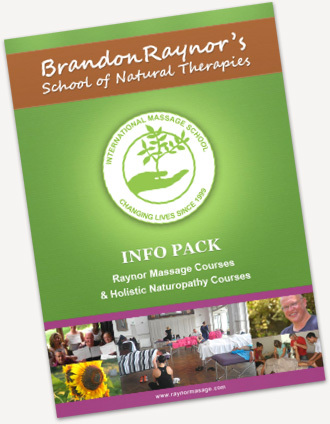 Brandon Raynor is an Australian trained Naturopath with more than 26 years of experience in the massage industry. Brandon Raynor holds qualifications in Naturopathy, Ayurvedic Medicine, Shiatsu, Chinese Herbal Medicine and Remedial Massage. He has developed his own style of massage therapy called Raynor Massage. He has been teaching all over the world since 1997. Brandon Raynor has been involved in promoting healthy nutrition in Australia since the early 1990s and been a strong advocate for better nutritional education in schools. He has been an advocate for Oriental medicine and holistic approaches to medicine in political campaigns all over the world. Brandon Raynor is also the President of the International Natural Therapies Association, which is a group designed to promote Raynor massage. Since his first studies in massage in 1991 Brandon went on to study many forms of massage and healing with many teachers including Yuichiro Ogawa from the Tokyo Shiatsu House in Sydney, Andrzej Gospodarczyk from the Shiatsu Ryoho Centre, Carol Starr, a teacher of integrative breath therapy, Jagad Guru Siddhaswarupananda Paramahamsa, a great teacher of Vedic meditation, David Frawley from the American Institute of Vedic studies and many more teachers. 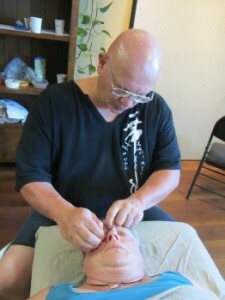 He spent time at Wat Po in Thailand and the Old Medicine Hospital in Chiang Mai Thailand observing and receiving Thai massage under various instructors and lived for 9 years in Hawaii and got receive many traditional Hawaiian lomi lomi treatments. Brandon Raynor lives with his wife, Cori Nicole, and two children in a rural area on 17 acres in Queensland that he is making into a Naturopathic garden and wildlife conservation area.